The homes’ electrical system operates like the human body. Circuits and wires carry electricity throughout the home like veins and arteries carry blood to organs and limbs. Just as blood keeps the body alive, electricity keeps televisions on, computers powered, and refrigerators running. Blood cannot travel throughout a body unless its heart is pumping, and electricity cannot travel throughout a home unless the electrical panel is operating properly. The electrical panel is the heart of an entire homes’ electrical system. Without a properly functioning panel, nothing electrical in a home will work. Over time, the human heart can develop problems due to age, diet, or genetic disorders. Electrical Panels can also develop problems due to age or manufacturing flaws. Today, there are two brands of panels that may have major manufacturing and/or design flaws that potentially put homeowners at risk—Federal Pacific and Zinsco panels. There are also thousands of homeowners today who have panels that are more than 40 years old and may no longer protect their homes from over-currents and short circuits. It has been found that the breakers within a Federal Pacific or Zinsco panel do not trip. The main function of a breaker is to “trip” or shut off when there is an electrical overload or problem with the circuit. When a breaker fails to trip, an extreme amount of power from the outside electrical supply surges into the panel and circuits. Once that happens, it cannot be stopped or shut off manually. Electricity will burn until it runs out of fuel or the wires melt. The panel could overheat and catch fire, causing serious harm to a home and its occupants. Both, Federal Pacific and Zinsco Electric panels and breakers can operate properly for years, but are known to malfunction, and can be a major safety hazard. If you suspect that you may have a Federal Pacific Electric, Zinsco, or an outdated circuit breaker panel in your home, or you have not had your panel inspected recently, you owe it to yourself and your family to contact Dunlap Electric, a licensed electrical contractor for an inspection. 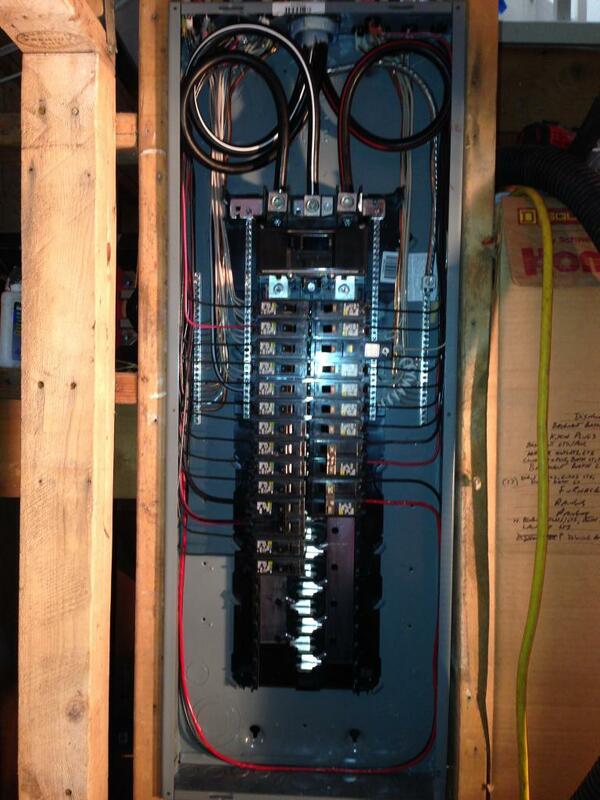 Remember, the circuit breaker panel is one of the most important parts of your homes’ electrical system. It constantly distributes and receives electricity. The panel protects your home from power surges and other possible hazards. With regular maintenance by a licensed electrician like Dunlap Electric, today’s electrical panels can function properly and protect homes for 30 years or more.